Yesterday was a great day to ride to work. 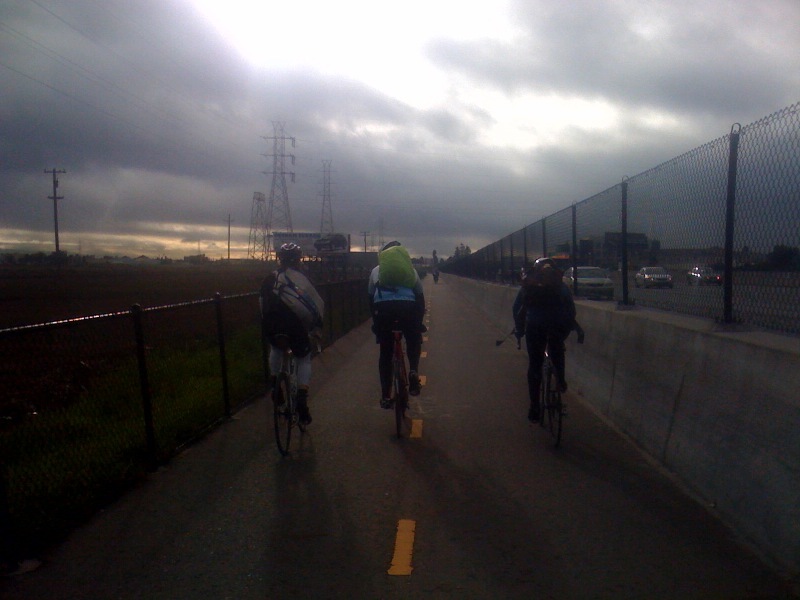 SF2G had four different rides via three different paths: Bayway, Skyline way, and Half Moon Bay way. I decided to go with the 6:15AM Skyline group, well aware of the pace of the xtons and Gaimans of the 6:30AM Skyline group. Since they were leaving at 6:15, I estimated they would arrive at Millbrae around 7:30. In the morning, I was also tracking Eric via Google latitude. Around 7:10, I saw that he going up the hill on Skyline near Daly City. They were still a while off, so I took my time while monitoring their progress. 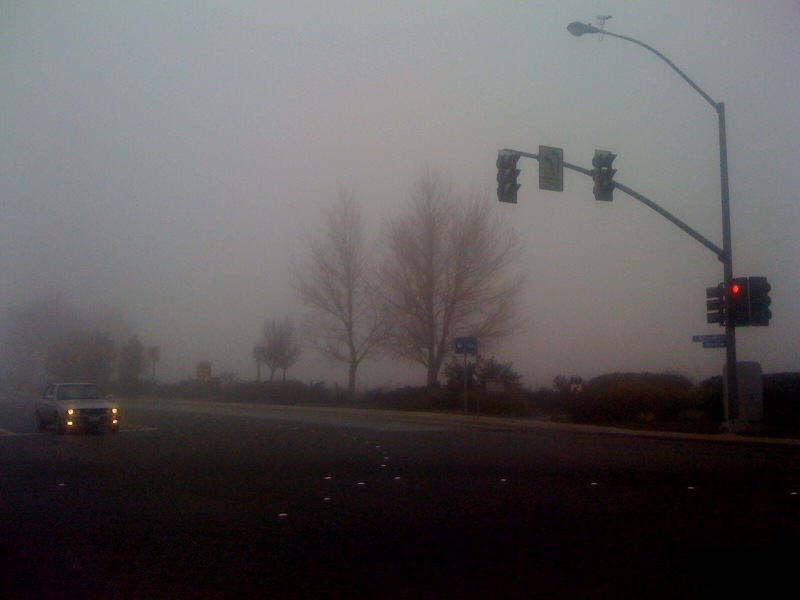 At 7:25, his location suddenly jumped to South San Francisco. Um, maybe I should get going now! I climbed hillcrest at a hurried pace and intersected with Derrick and Space at the top. Did I barely catch on? I saw a group of about ten mostly familiar faces gathered at the entrance to the Sawyer Camp Trail: xton, Mike Gaiman, Jonathan, Eric, Derrick, Space, Scott, and others. Moments later, another group with Ted, Judd, Mark, and others arrived. We had a nicely sized group… the 6:15 and 6:30 groups must have combined. Ted, and others stopped at the top of the hill for water, and a few of us headed down the trail first. I followed Jonathan with two others and we cruised to the other side of the trail. 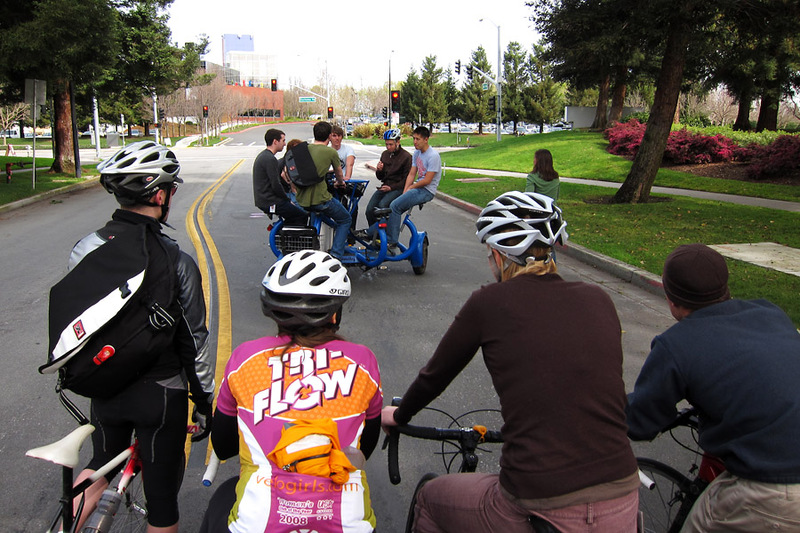 It seemed that some of the guys turned around and took the quicker, freeway option because they were already waiting at the exit of the trail for a regroup. After another short break, we rolled out again. We went up two hills and when we came down the second decent to Canada, the speed of the lead group picked up and the lead group was off. I probably should have been clued in to the acceleration when Scott flew past me on the descent. As we started Canada, Derrick passed me and gave a valiant solo effort to bridge to the lead group. He got really close! Jonathan passed me and I grabbed his wheel. We eventually caught Derrick and we worked together to catch the lead group. By the time we got to Edgewood, Derrick had dropped a chain and the lead group was out of sight. 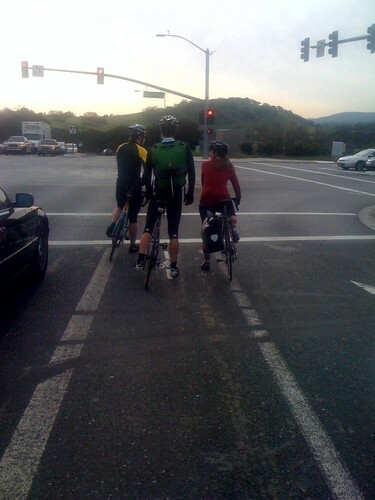 By Woodside, we had caught two riders and Mark had caught on to us. 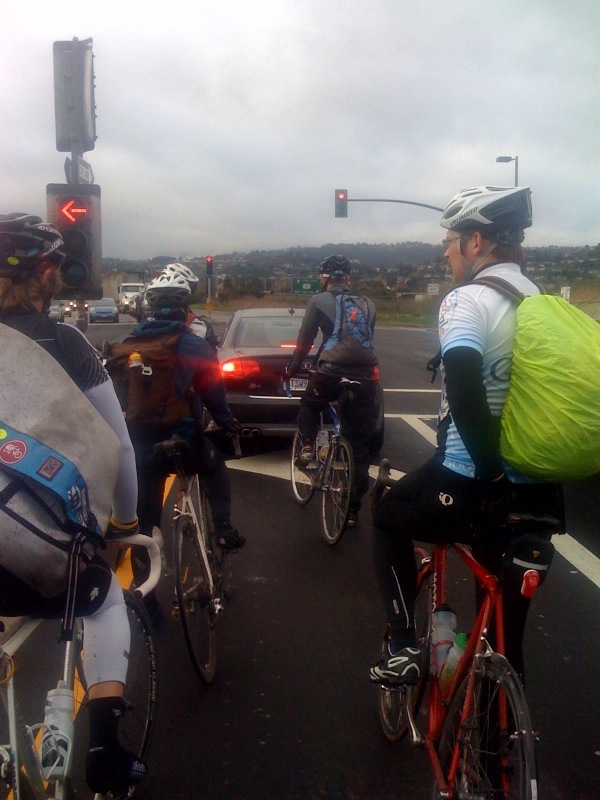 The “leaders” were adding a full Portola Loop to their ride, but we decided to take the path of least resistance down Whisky, Sand Hill, Foothill Expressway, and El Monte. I got to work at about 9:30.